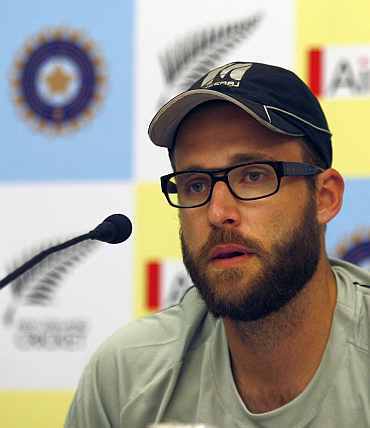 In a stand quite different to the one adopted by the Indian Cricket Board (BCCI), New Zealand skipper Daniel Vettori and coach Mark Greatbatch have favoured the use of Umpire Decision Review System (UDRS), saying it was good for the game. "I like the referral system. There are still a few hiccups with the technology, but I think it is good for the game if it is used consistently," Vettori said during a media interaction here. Echoing Vettori's thoughts, Greatbatch said UDRS system would help the game. "Though the referral system would require to be perfected, it is a positive thing for the game," he said. The BCCI has consistently opposed the introduction of UDRS in bilateral series after the team got the rough end of the referrals in Sri Lanka in 2008. 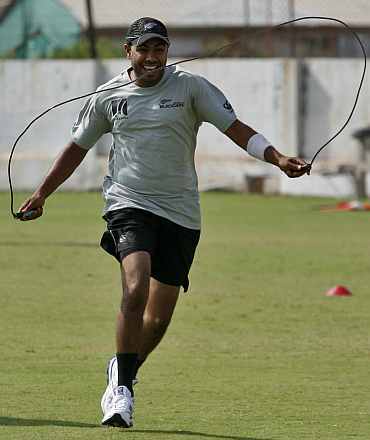 Meanwhile, Greatbatch expressed confidence that the young Kiwi team would do well against India. "With so many youngsters, there is an amazing energy in the team," he said. Dynamic middle-order batsman Ross Taylor and wicketkeeper batsman Gareth Hopkins felt playing Indian spinners in their own backyard would be a huge challenge for the team, which was recently mauled 0-4 by Bangladesh in a five-match ODI series. "The pitches here support spin. Indian bowlers are accustomed to the situation and are good at exploiting the conditions to their advantage. (Indian) Spinners are very good and (facing them) would be a challenge for us," Hopkins said. 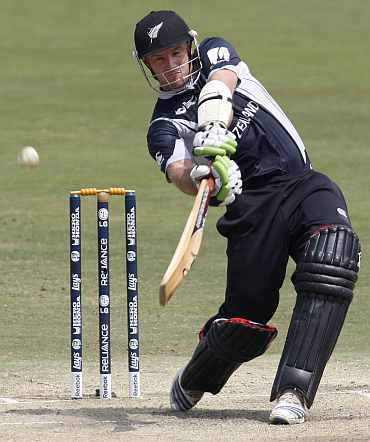 Hopkins felt that the tour of India would be good preparation for the Kiwis ahead of next year's World Cup in the sub-continent. "We have been touring Asia, first Sri Lanka, then Bangladesh and now India. This I believe would help us prepare for the World Cup in 2011 (which will be co-hosted by the three countries)," Hopkins said. Taylor said that he was wary of playing spin bowling in India. The right-handed batsman said his team would need to step up its performance in all departments if the desire to do well in India. "Most of the players in the present New Zealand squad have not played in India, while some are yet to debut in the Test matches," Taylor added. Left-arm pacer Andy McKay said bowling on sub-continent pitches would be a challenge for the Kiwis. "We got a better idea to bowl on slow pitches during the Sri Lanka and Bangladesh tours," McKay said. Another pacer Hamish Bennett said he would concentrate on speed and bounce on the India tracks. "I'm also learning to bowl reverse swing, which could prove to be an advantage on sub-continent pitches," Bennett said.